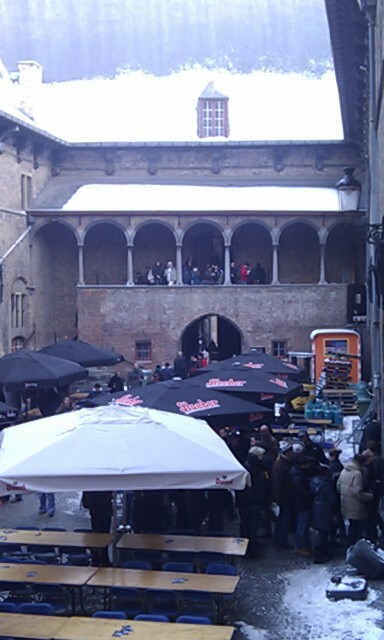 The Bruges Beer Festival is a fantastic event held in a wonderfully historic building, the Zalon van de Halletore, bang in the middle of Bruges. It attracts beer drinkers from near and far and from Greater Manchester. Now as a regular organiser of beer festivals, I of course ran my professional eye over it, just to see what was done well and what wasn't. Firstly, one major difference is that it is free to get in. Yep. Cost of admission is nil. It seems the venue is donated by the city authorities who rather like the event being there and is to the credit of the organisers that they pass this benefit on to the customers. One of the locals told me that it is the city that dictates the date of the festival, by the availability of the premises. Fair enough really. The other very big difference is that the beer stands are all run and staffed by the brewers themselves, serving a mix of bottled and draught beer. Yet another difference is that you pay a single price for the beer and use a standard glass, which I think you buy and which is not refundable. I say "I think" because as we were guests of the organisers at our GBBF BSF AGM, we were given our glasses, though not unfortunately the beer, which is bought with little red plastic tokens at €1.25 a pop. There is one other aspect that is very different. The place was scarily rammed. To a dangerous level in my opinion as a Beer Festival Health and Safety Officer. You literally had to push your way through the busiest parts of the venue and any trip to find a beer, was a tiresome trial of endurance. It was easier to go outside and round the building than to attempt to go from one end of the very large rooms to the other. God knows what would have happened if a fire had broken out, though oddly, as the day progressed, that slight nagging concern became less and less prominent. Now of course the wise and the tickers had got in early and nabbed the seats that were available. This is indeed a tickers festival and well known adherents of the faith were dotted around, marking off "required" beers and then vanishing for ages in pursuit of them, due to the crush. Lesser mortals such as me just randomly grabbed beers from the nearest stall, though of course there was some discernment and advice heeding. I was after lambics and gueuzes and in the main, these were handily gathered together in a downstairs section of the fest. 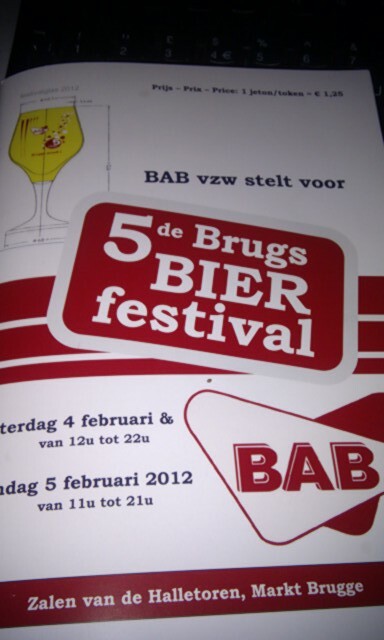 This did involve rather a long journey to get there, but was well worth it to sample some really delightful beers. It was a pleasure to be able to drink Boon, 3 Fonteinen, Hanssens and Cantillon side by side - well one after the other - only one glass remember. Back upstairs I made sure of a visit to De Cam for the spectacularly good beers there. Nor did I forget a couple of Lindemans Cuvee Rene. Later as some of the early attendees staggered off, we got a seat at a table and enjoyed friendly chats with some locals - local to Bruges that is and some more familiar faces from our neck of the woods. I won't list other beers tried - I can't remember anyway - but I liked most of them, noted that hops were very evident in quite a few and that strong golden ales are far too easy to drink. My other top tips are that older pourers of beer are far more generous than younger ones and that if you want good, solid advice on Belgian beers, sit near John Clarke. As the title says, they do do things differently there, but apart from there being far too many people in, I thoroughly enjoyed the experience and didn't have a single beer that I thought was poor. Belgium is great. Another top tip from JC was to visit Café Rose Red, which given that we'd had a few, we found surprisingly easily - just round the corner. The Brewer's Guardian had an article on the story I spoke about yesterday -about Sam Adams Boston Lager being brewed by Shepherd Neame. I was quite struck by this quote from Sam Adams founder Jim Koch. The articles says that Koch also has a message for any doubters: "Taste it. Unless you’ve become wedded to slight oxidation it’ll be better. It will be a better Samuel Adams than you’ve been getting because it’ll be fresher." Now let's dissect that statement. Firstly "it will be fresher". Unarguable. Secondly "it will be better" presumably because fresh beer tastes better. OK. And lastly, though he says it first, "Unless you’ve become wedded to slight oxidation it’ll be better" Right. So all Sam Adams beer is slightly oxidised, which presumably means that much imported beer is slightly oxidised? Presumably many beer geeks forking up top dollar for all these fancy imports are, in some cases at least, getting slightly oxidised beer? Of course, many are so strong and strongly flavoured that it will scarcely show and hardly be noticed, but does anyone observe staleness in imported beers? Not that this should matter to any great extent (some would argue that cask conditioning is all about serving oxidised beer) as long as people are happy with what they are drinking. But it is instructive to know it. Read the Brewer's Guardian article here. Sam Adam's Boston Lager is one of those beers that a lot of people associate with the term "craft", though it is of course brewed in its millions of barrels in the US. It is very widely available in the US and elsewhere in the world, including the UK. I learn though that Sam Adam's lager, for the first time ever, is to be brewed abroad under licence and the UK will claim that honour. Shepherd Neame will brew and package all UK Sam Adams lager under licence at Faversham, replacing imported stuff and substituting European size 33 and 50cl bottles for the American 35.5cl ones. The reasons given are interesting: "The primary aim is to improve the freshness of the Sam Adams we’re offering to British beer drinkers," said Boston Beer's founder, Jim Koch. Now I have often wondered about the freshness of imported beers as I watch people hand over infeasibly large amounts of money for them and there you seem to have it - there is in the industry a doubt raised about the freshness of beers such as these, to the extent that brewing under licence is being undertaken. There is another aspect to this too. Graeme Craig, Shepherd Neame’s sales and marketing director, said "We’re seeing growing interest in the US craft beer scene and we both felt this was a better way of doing things rather than an elongated supply chain." So. The best way to provide drinkers with craft beer from abroad is to brew it here? Really? Or is Boston Lager a craft beer at all? Was it ever? When did it cease to be? Or when will it cease to be? One thing is for sure. The term "craft beer" is one that the big brewers and marketers see has some legs. But in exploiting it, will they devalue it, rendering an undefined term even more vague than it is already? It also seems to this writer at least, that conflating US and UK definitions may make an already rocky road a touch rockier. Time will tell, but is this really a good move? Is Samuel Adams no longer craft, but just a brand? Questions, questions. On my return to Manchester after my visit to Scotland, I popped into the Angel for a restorative pint. 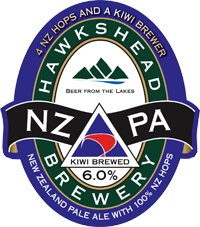 Luckily for me there was Hawkshead NZPA on the bar. Now this fits the description "dangerously drinkable" like a glove, with its zingy New Zealand hops and its six per cent strength. Being of the twitter persuasion, I tweeted my experience. Matt, the Hawkshead brewer, replied that I should drink it while I can, as it will be rested for a couple of months to be replaced by a similar strength beer with all American hops. A double edged sword that. Something to look forward to and something to miss, but I share the information as a public service. Luckily I have a couple of bottles of NZPA left. I will be sure to eke them out carefully. I've passed through Glasgow a couple of times in the last couple of weeks on my way to my Mum's in Dumbarton. Dumbarton offers no real ale, well no real anything these days really, so I always stop off in Glasgow for couple of pints on the way. Usually it is one of two Wetherspoons between the station I arrive in and the one I leave from, or the Drum and Monkey, though often this Caledonian Brewery obsessed bar is passed by. I am no fan of Caley beers. Glasgow denizen, sparkler hater and blogger Robsterowksi recommended I try Browns on George Square as a change, as they sell Harviestoun Blonde. So I did and found both times, in this glitteringly posh bar, that despite silver founts adorned with Doom Bar and Harviestoun Blonde pumpclips, only Doom Bar on offer. The second time (this week) I queried this and was told that they only have one "spike" (I assume they mean spear extractor) so they can only ever offer one real ale at a time. The barman advised me it is usually Doom Bar, as that is most popular. Now that's up to them, but why imply that two are available? I dislike this misleading way of doing things. It is presumably to ensure that the "look" of the bar is maintained. Better though to take the clip off when the beer isn't available, or better still to buy another extraction spear. They are cheap as chips and this place, believe me cost millions. Of course, you could always go to the nearby JDWs and choose from a dozen real ales. Which is what I did. Glasgow of course is a lager city. I doubt if Browns sell much cask anyway and I suspect it will buzz at night with or without it. It was empty both lunchtimes though. A mate of mine was clearing his late mother's house and came across a book he thought I'd like. Too true I would. It is an unusual "beer book" as it is written by a pub architect and gives a great insight into how breweries designed pubs, their thinking behind designs and a lot of "do's and don'ts. Written by Ben Davis, the book, The Traditional English Pub is dedicated to "the memory of the Architects Department, Ind Coope Ltd, disbanded on 3oth May 1980" and was published in 1981. 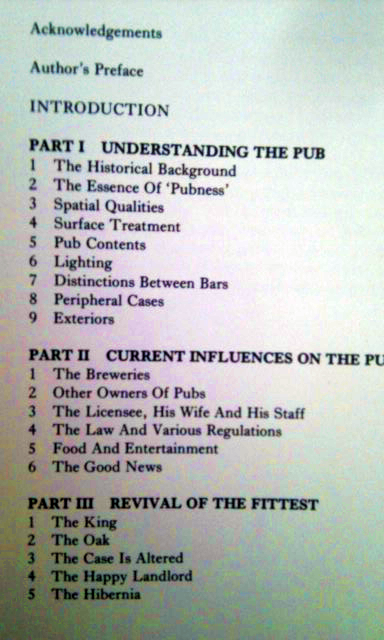 The author doesn't confine himself to architecture, as there are chapters on Understanding the Pub, and sub chapters on breweries, licensees and some case studies. His observations on the "Essence of Pubness" are simple and compelling. 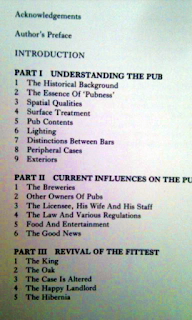 According to Davis there are five essentials that a customer consciously or sub consciously seeks in a pub. He likes to feel welcome. He likes to feel at home. He likes to give and enjoy friendliness. He likes a good hearted atmosphere and importantly, "he likes a sense of continuity." He goes on to explain how a good pub architect will try and make these qualities easier to achieve by good design, whether by new build or refurbishment. At the end of the book, written by Frank Bradbeer, there is a Pub Design Guide which explains the steps from concept to completion. While some of this is pretty dated, it is a simply fascinating read and takes me back, in my mind to the 1980's, but in a good way. It is also interesting that the author determines (and I agree with him) that the pub is a English rather than British institution. As Davis puts it "The pub is English. The Scots drink in bars, and the Welsh, bless them, will drink anywhere. The Irish had the good sense to hold on to the pubs the English gave them, but their native manner of drinking is in grocers' shops." Perhaps these observations may not meet with unqualified agreement, but I reckon I can see what he means to a fair extent. The book does hark back to a lost era and clearly Davis was an Ind Coope man through and through, but in some ways, reading it now, that is its strength and a reminder, that contrary to popular opinion, pubs didn't just happen. They were often designed by very clever men and indeed, as the author makes clear, women. The author on handpumps: "they have a sculptural strength and elegance which, even regarded as abstract form, gives delight." I read in the Morning Advertiser that in some areas, groups of licensees are operating "unofficial" minimum pricing schemes, whereby they agree not to sell alcohol at below a certain cost. Let's be clear about this. It is illegal to do so. It is operating a price fixing cartel, which is an unlawful activity in this country. As if that isn't bad enough, it seems that such schemes are being encouraged, or even suggested by the police, or at least by the local licensing bobbies that attend PubWatch schemes. Now you, like me, might think that if such a thing was suggested, that the licensees would firmly turn down these illegal suggestions and maybe would actually report such goings on. But no - it seems some go along with it, despite the fact that it is they, not the police that would end up in (quite serious) trouble for so doing. 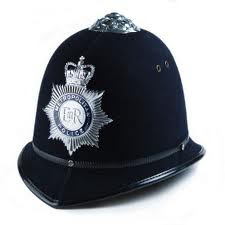 I talk to landlords a fair bit and there is much pressure - pressure that is contrary to the Licensing Act - put on publicans to do this and that from time to time, whether it be close early, or not open at all at the "request" of the police, despite their legal right to do so. When I point out the police can't do such and such a thing under the law, the answer is inevitably the same. "If I don't, they'll make life difficult for me." The police have a hard enough time in administering public order, but they do tend to lump the innocent with the guilty. When they moan about late night drunkenness, it is invariably at certain venues that are repeat offenders, The police already have the powers to deal with these under the existing law, just as they can lock people up for being drunk and disorderly, exhibiting behaviour likely to cause a breach of the peace, or in extreme cases, for being drunk and incapable. It is time they enforced existing laws and stopped encouraging the breaking of the law by hard pressed publicans. It is equally time that politicians addressed why existing powers are not being exercised, rather than pointless posturing and tinkering with prices. The cops know where the problems are, be they completely pissed people, or the pubs that serve them when they are pissed (small minorities in both cases) and they should get on with sorting them out and leave the rest of us alone. Politicians should make it clear that they have to do so. Now that my Belgian man flu has subsided to a cough and my nose has dried up, it was time to consider beer. 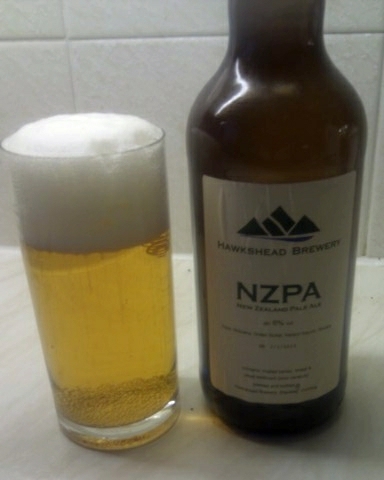 Beer with taste and where better to start than with a bottle of Hawkshead New Zealand Pale Ale, kindly given to me by Matt, the brewer when he visited the National Winter Ales Festival. I have to declare an interest here. I am a big fan of Hawkshead beers and will sup them wherever I see them. From Windermere Pale through to NZPA, they are tremendously well made beers. Hint to other brewers. Make your beers as clean as Matt's and you are half way there. Now if I was, say, the Beer Nut, I'd wax lyrical about tropical fruits, wonderful hoppy aromas and that sort of thing. But I'm not and he's way better at that kind of thing, so I won't. Instead I'll compare it to the draught (cask) version and instead tell you it is a pretty good approximation, with the carbonation held at a slightly lower level than most bottled beers, allowing the craftsmanship of the beer to zing out. It was good. Very good. So how do you follow that? 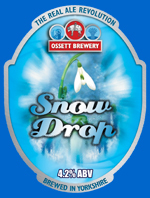 You go to the Baum in Rochdale and purchase a pint of Ossett Snow Drop, a pale, well balanced beer with moderate hoppiness, through to a strongly bitter and hoppy finish. Then you toddle down to the Regal Moon and spend the rest of the evening with your chums drinking Ossett JPA, another pale beer, but this time much more hop forward, while avoiding that wateriness that spoils many such beers. There you have it. I have mentioned both breweries before and no doubt will again. Why? Because they are bloody good! If you want to put a date in your diary, mark May down. Ossett will be putting Citra out. It is a stunner. Even as a former resident of the City of Liverpool, I often find it hard to like Liverpool's Cain's Brewery, due to a number of factors, not least of which is that their beer is pretty much crap. Nonetheless, I am on their email list and couldn't resist showing you all this pump clip for their newest beer, Blonde Bird Ale, featuring the wonderful city emblem of the Liver Bird. It is the first new cask beer brewed by their new Head Brewer, Jim Kerr. Hopefully the beer will be really good - I do hope so - but either way, I love the pumpclip. For me though, Cain's Brewery will always be Higson's Brewery even though it started out as, err, well, Cain's Brewery. It's a long story. There are plenty of folks around, though they'll likely deny it, that see expensive beer as a good thing for a number of reasons. There are aspiring brewers that wish to sell the fruits of their labour at top dollar; there are those that begrudge the cost, or feel superior drinking beer that others can't afford, especially if it is rare and has come from afar (rarity and distance makes for much better beer - a little known factoid.) I could go on, but you get the picture. 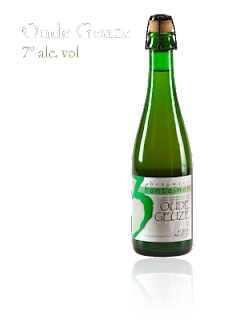 In Belgium recently I discovered that one of my favourite styles, gueuze and its cousin lambic are pretty well a snob's dream in Belgium. They are bloody expensive and to give you the picture, think around three times the cost of an Orval. Now of course you could argue that being so rare, so delicate and so difficult to produce, that this is the inevitable outcome. But of course, until relatively recently, that rarity wasn't reflected in the price. There are a few ways to look at this. One is that small artisanal brewers are at last getting just reward for their efforts, or, that the goose that laid the golden egg is being slowly killed, or perhaps, more benignly, are being elevated to a very expensive treat. Speaking to Tim Flynn who runs the redoubtable New Oxford in Salford while at the Bruges Beer Festival, reveals that he can put almost no mark up on these beers, as they so expensive to buy in the first place, but he offers them for additional choice. Now I didn't get the chance to check out supermarket prices in Belgium and they may well be reasonable, but it seems I won't be drinking very much gueuze/lambic in pubs, as to my mind you need several to fully get you in the zone, so that you can really appreciate the style. That would be a dear do. Maybe you don't find this expensive beer thing worrying at all? 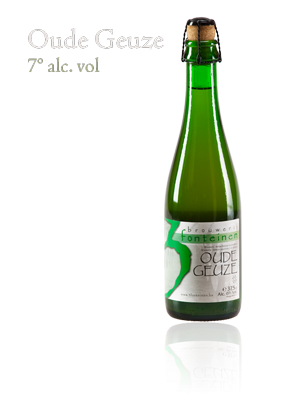 Is gueuze and lambic a special case? My sour beer needs were met by Rodenbach at normal cost and I feasted on gueuze at the Bruges Beer Fest. Scotland on Sunday had a long piece yesterday titled "The SNP's Drink Problem". This discussed minimum unit pricing of alcohol as a means of limiting binge drinking and associated social problems. There wasn't that much new in it and of course, it was mainly about the internal politicking that accompanies such things. One thing struck me about it though. The current unit price of alcohol - some kind of average I assume - is stated to be 43p for off sales. For cider it is 20p. The unit price over a bar is currently £1.31. I imagine the figures for England and Wales won't differ that much. Now I usually leave this kind of thing to Mudgie, as he is much better at it, but it seems to me that any organisation or individual supporting increasing the minimum price in an effort to curtail anything is way off beam. Those for whom alcohol looms too large in their lives will still find ways to get smashed, probably at the expense of their family and own well being, or by illicit hooch or whatever, while those that have little by way of dosh, but drink responsibly at home, will get duffed in the purse to no good effect. I know these are points Mudgie has made before. Turning to pubs, it would seem pretty damn obvious, that minimum pricing will not save a single pub. I'm all for saving pubs though and like CAMRA, who support minimum pricing, I believe the pub is the most appropriate place to drink alcohol responsibly, but is this really the way to go about it? Maybe if minimum pricing had been considered long ago, before the gap got out of hand, a case for minimum pricing could be made, but now it just seems the wrong policy at the wrong time. A case for supporting a ban on below cost selling of alcohol could certainly be made and could probably be supported, but minimum pricing is a dangerous Trojan Horse and support for it seems to place CAMRA a little too close to the anti alcohol camp, a place where surely an organisation dedicated to beer drinking ought not to be? The prohibitionists already have a foot in the door and minimum pricing wedges it open further. It is no means certain that it will be to the advantage of pub drinkers and pubs as Mudgie points out. 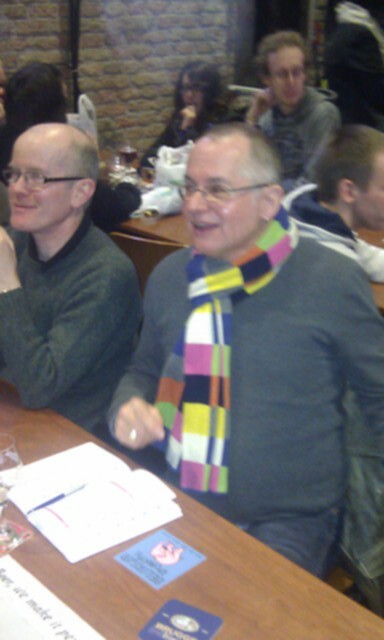 CAMRA as an organisation needs to think again. One of the reasons given by CAMRA is to stop below cost selling, but that could be achieved through other means. Their document to the Scottish Government conflates, wrongly I believe, the issues of minimum pricing and below cost sales. You'll have read no doubt about the row that has seen a beer from Slater's Brewery banned from Houses of Parliament bars because of its "controversial name" - Top Totty. If you haven't, you can read the story here. Each year I go away for a couple of nights boozing with three other mates. I'm the youngest to give you some background and I'm no spring chicken. Now Top Totty has been around for quite a few years now. It was one of the early pale, hoppy, golden ales and Slater's used to brew the beer in their pub in Eccleshall, Staffordshire. It had rather a good reputation in the North West. Around the mid nineties, we called in the pub, the George, dead on Sunday opening time, gasping for some TT to revive us after the previous night's supping. . Scanning the bar, we noted that our hoped for drink was conspicuous by its absence. "Where's the Top Totty?" quoth one of us. The two young and bonny barmaids eyed each other before one piped up "You are looking at it." All of us, including the barmaids fell about laughing. It is an ill wind though that blows nobody any good. Slaters can't keep up with demand because of all the publicity. Can you get tired of Brugge, delightful though it is? Well yes you can if you are just as much a pub man as you are a beer man. There is a degree of repetitiveness in Brugge pub crawling and once you realise that you can get little by way of ordinary pub culture in the centre at least, you have to travel a little further. The good thing is that is easy to do. Trains are frequent and punctual, though not that cheap, but you can easily get about. Thus it was that we found ourselves, following advice from assorted drunks, heading to Ostend and the coastal tram. There's two choices. Head towards France and Dunkirk (though it doesn't quite go there) or to the Dutch border at Knokke. Five euros for a day pass and off you go. Now my accomplice Graham has been to De Panne on the Dunkirk side, so off we went towards Knokke. Our inebriated associates had given limited advice; "Get off anywhere - it's all good" kind of summed it up. You can guess though that it ain't all good. If you like a lot of sand dunes it is, but when after forty odd minutes we had seen nothing obvious, we hopped off at Wenduine into what seemed like a ghost town. We concluded this was a summer resort and like most of ours, was kind of closed up for the winter. We could find nothing open other than two deserted looking hotels. And it was bloody freezing too. We hopped on the next tram. So much for "it's all good". Blankenberge near Zeebrugge is another ten minutes towards Zeebrugge and a world away from Wenduine. Bustling and busy we had no problems finding good cheer. By the main tram stop and on the square we nipped into a likely looking pub. Brasserie Terminus - Koning Leopold III Plein 1 - is highly recommended for its friendliness and the choice of 80 odd beers didn't put us off either. 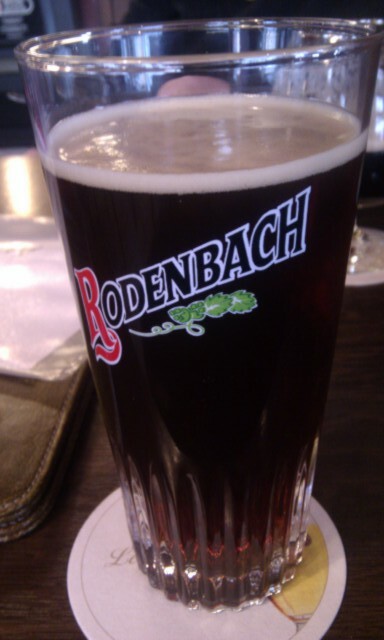 Rodenbach on draught? That'll do nicely and accompanied by free WiFi and croque monsieurs, we were mightily content. Locals came in to eat and have a beer, the news was on the telly. It was comfortable and a world away from touristy Brugge. We finished on La Trappe Isid'or on draught. At 8.6% and smooth as the inside of a maiden's thigh, it warmed the cockles a touch. We walked back through the busy town towards Blankenberge Park and the tram stop where we'd spotted a couple of likely suspects. The earlier sunshine had given way to snow flurries and then snow. 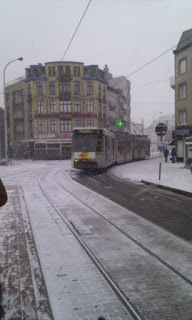 By the time we reached the tram stop at Blankenberge Park it was blizzard like. It was so snowy by then, note taking (not that I did any) was out of the question, but there are three or four pubs there. We dashed into the one with the most beer signs, as it seemed a likely spot. If you don't like mixing with the locals, this might not have been the pub for you. In Dutch speaking East Flanders, this was a French outpost. The half dozen customers, at two thirty in the afternoon were, frankly, completely pissed - but jovial - and we chatted away amiably in our broken French. Great fun and though the beer list was limited, putting up with Orval is not exactly a hardship. That's one of the delights of Belgian pubs. There is always something decent to be had. Our next target was just round the corner and a quick dash took us to a bustling locals bar and back to gutteral, incomprehensible Dutch. Full of corners, nooks and crannies and a central bar, constant comings and going, a good bottled beer selection, plus draught Rodenbach ensured a good couple of hours. As the snow worsened and the light eerily faded, we reluctantly left. This was raw and cheery Belgian pub life and the place was a cosy and friendly haven from the outside world. What more do you want? Well more beer of course. Ostend itself (on the way back) has a few decent pubs, though probably a bit more upmarket, but were warm and cosy on a very snowy night. We did some more Orval in and then hopped back to Brugge, where, to be honest, we had too much beer. 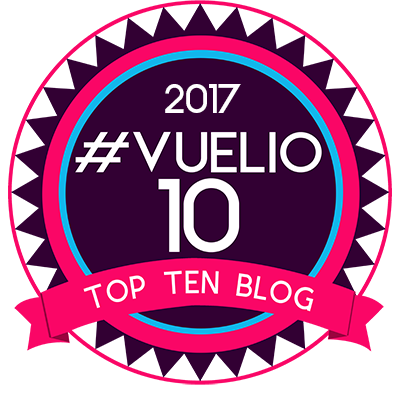 For someone that prefers pubs, it was interesting to note that despite the smoking ban , local pubs were thriving. The prices were good too here in the sticks - think €2.50 Orval and €3.00 Duvel - and though the pubs were rough and ready, welcomes were warm, service was unfailingly polite, cheerful and friendly. Belgium is perhaps not the most picturesque part of the world - at least not the Northern part - but it is genuinely good to be in and, as importantly, if you find the right pubs, they are great to drink in too. 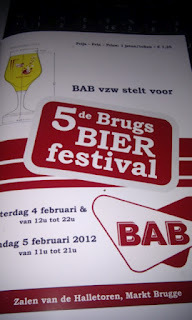 When I wrote my Golden Pint Awards, I said one of my beer drinking aims for 2012 was a Belgian visit. That didn't take me long to sort out did it? Labels: Belgian beer, Belgian Pubs.